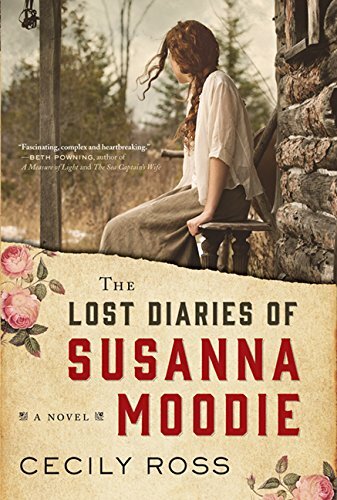 My last post focused on favourite Atlantic Canadian reads of 2017. 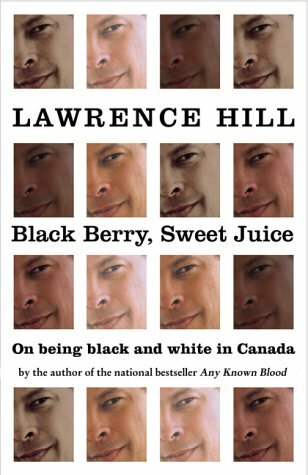 1) The conversation I had with my sister after reading Black Berry, Sweet Juice by Lawrence Hill. 2) My second year being a part of the Giller Prize Shadow Jury. 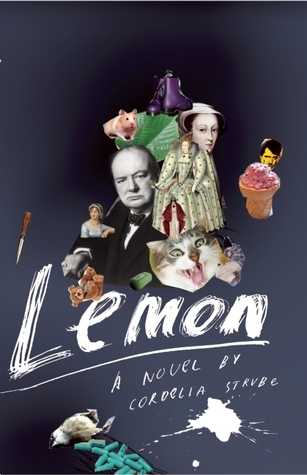 3) Being asked to adjudicate for the Hamilton Literary Awards, fiction category. I had a lot of fun reading through the list; there were some great books. But for me there was a clear winner, and the rest of the jury agreed… Yiddish for Pirates by Gary Barwin (which I wrote about last year when it was on the Giller shortlist). 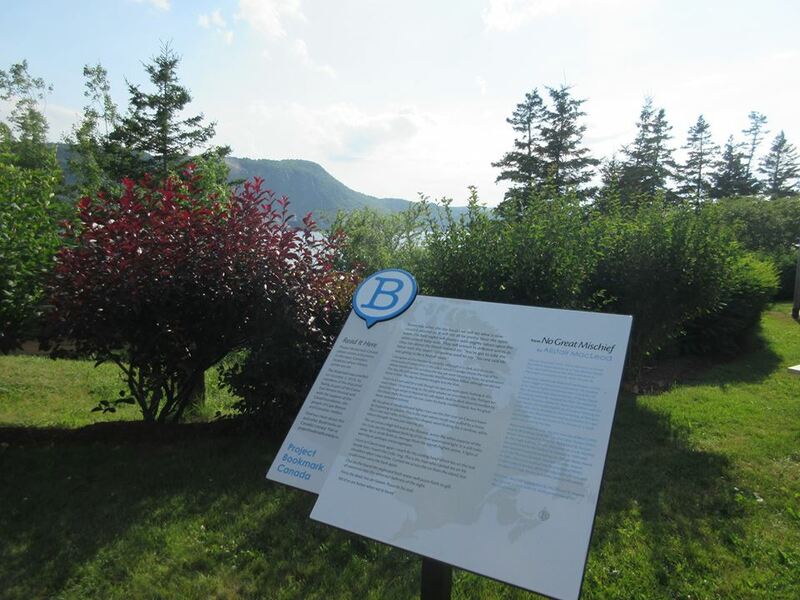 4) Attending Project Bookmark Canada‘s unveiling of Bookmark #19; a passage taken from Barometer Rising by Hugh MacLennan. 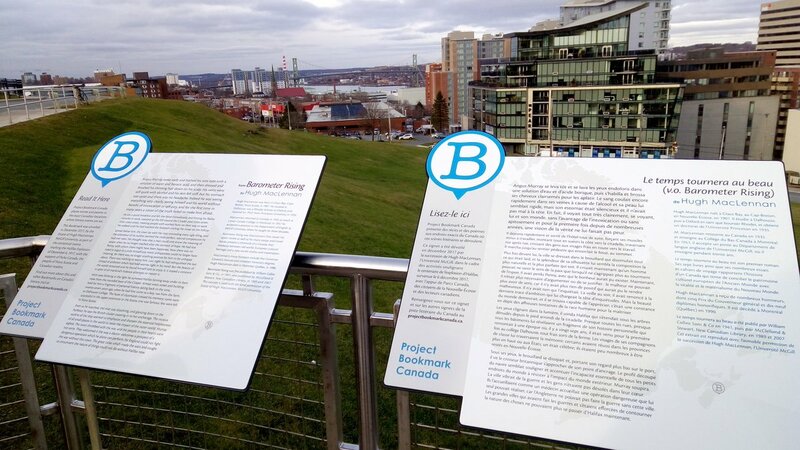 The site of the Bookmark is on Citadel Hill overlooking the harbour, and much of the part of Halifax that was most devastated by the explosion. I also got the chance to see the Bookmark for Alistair MacLeod’s No Great Mischief while in Cape Breton this summer. And there is an upcoming Bookmark for L.M. Montgomery in Prince Edward Island in June 2018. I hope everyone has had a good start to the new year! What was a favourite book, highlight, or event for you in 2017? 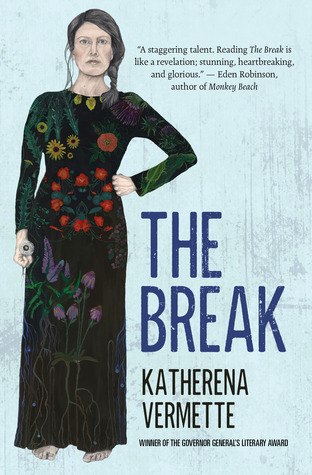 I’ve just been sent a copy of The Break, complete with puff fom Margaret Atwood no less. Looking forward to it. Another of your picks – Brother – is being published in the UK this year. Things are looking up! Happy New Year! 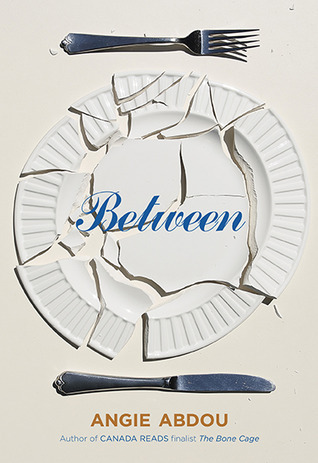 I read a little more Canadian lit—mostly poetry—this year but still need to read more. I did have a fantastic opportunity to meet and talk with a number of Canadian writers at the reader’s festival—driving writers around is a great way to get to know them. Highlights include poets Jordan Abel, Phoebe Wang, M NourbeSe Philip and Richard Harrison. I also really enjoyed meeting David Chariandy, this year’s Massey lecturer, former international lawyer Payam Akhavan, and GG winning children’s author David Robertson. Oh, wow… I’m feeling a little envious. Although, if it were me, I wouldn’t know what to say to them. Were they all good conversationalists? Yes, this year we were lucky not to have any writers that need to be treated delicately, but as a volunteer you do have to respectful, sometimes someone is tired or ill. I was especially surprised how friendly and eager to chat people were when I was picking them up from the airport. Your bookish highlights are awesome!!! What a fabulous year and collection of books that you have read! Congratulations!! Looking forward to reading your posts in 2018! Thanks, Susan! And I continue to look forward to yours! What a wonderful year of bookish happenings! 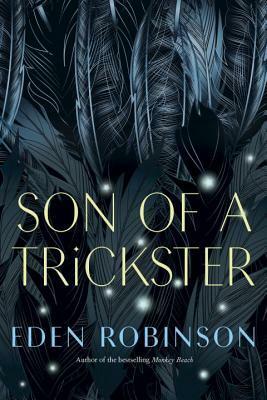 I agree with so many of your picks too: Eden Robinson, The Break, all amazing reads! Looks like a wonderful year! I really enjoyed reading A Lady and her Husband as well. It was beautifully written and made me think. 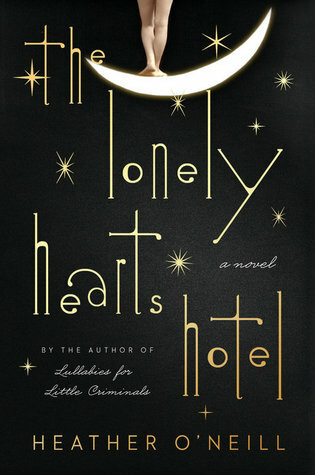 I am in two minds over Lonely Hearts hotel because I am not sure if I will be able to handle the abuse. I found it harder to read about how the abuse played with their minds more than the abuse itself. It definitely wasn’t a happy story, but there were some happy parts. I don’t know if that helps you at all, or not! Looks like you’ve had a good year. You have certainly added to my TBR in 2017! Those Bookmarks are really cool! Hooray – A Lady and Her Husband on three lists now including mine! My books of 2017 are here https://librofulltime.wordpress.com/2018/01/01/state-of-the-tbr-january-2018-and-best-books-of-2017-plus-my-first-book-of-the-year/ and I hope you have a great year of reading in 2018! Good to hear! Who’s the third? I remember that post you wrote with/about your sister and appreciated how much it taught me about you! I think you’d like that one, Katie! Thanks for your encouragement, James! 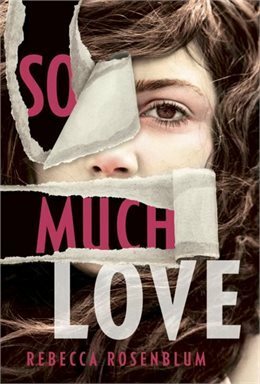 I do get a few ARCs sent to me, but even with those I’m slow reading and reviewing them. I’ll just have to be faster! What a fabulous list of books! My bookish highlight of 2017 was finally getting around to reading some Russian Literature (Tolstoy and Bulgakov) – interesting! 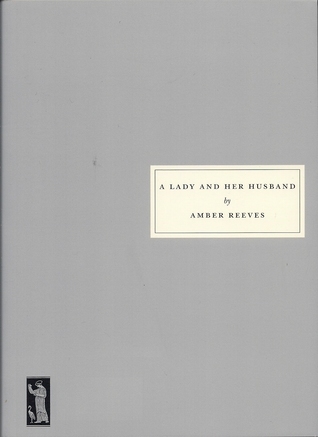 I love the look of ‘A Lady and Her Husband.’ I am a HUGE fan of Persephone books, and although I don’t have a subscription, my aunt always used to by me one for my birthday. I can highly recommend Dorothy Whipple. Happy Reading in 2018. I enjoy your posts enormously. If you’re a fan of Persephone books, then I think it’s safe to say you’d like A Lady and Her Husband. And maybe the next one I get will be a Dorothy Whipple! So, do you have a favourite out of the Russian reading you did this year? Will you continue with it? I think I enjoyed the Master and Margarita more than Anna Karenina, but I have to do a lot more reading of Russian literature before I can make my mind up! I will definitely keep reading it. It is intriguing! Thanks for the recommendation! I haven’t read much Russian literature at all. I did read AK a few years ago… I liked lots of parts of it but didn’t love it. Maybe that’s part of the reason I haven’t read more. Sorry, obviously meant buy not by! That was a typo!! I do know how to spell!! Typing too fast as usual! I’m really hoping to attend! But… it’s so far off I have no idea what the end of June looks like at this point. (HInt: it’s usually busy.) I think it would have to be an overnighter. We’re usually in PEI at some point over the summer anyway, so I hope to see it one way or the other! 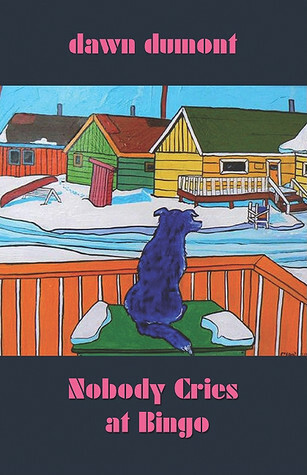 There’s going to be another one in Toronto soon – for Dionne Brand! Oh, fantastic. So many possibilities there: her work is Toronto-soaked. Thanks for letting me know! 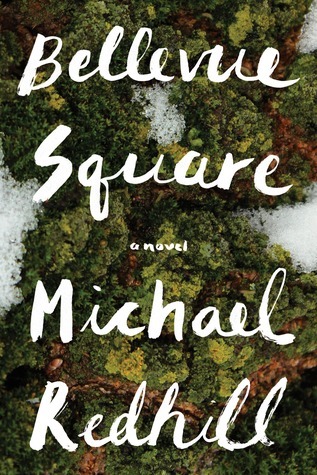 There’s a few on your list I want to get to: the Heather O’Neil novel, and Bellevue Square as well as The Break. 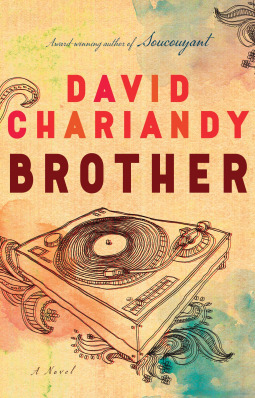 I’m very happy a CanLit book — Brother by David Chariandy — was one of my very top favorites of last year. It blew me away with all that feeling in it. I also liked Home Fire. You had a good year in reading! Just don’t read The Break and The Lonely Hearts Hotel back to back! Your heart might break. 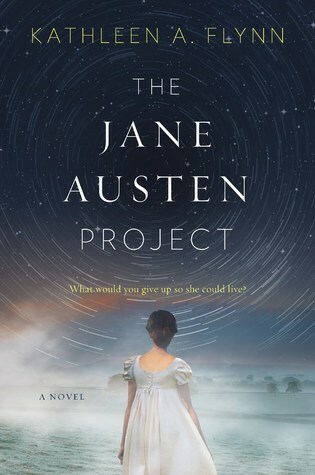 Oh, yes, you’d like The Jane Austen Project! 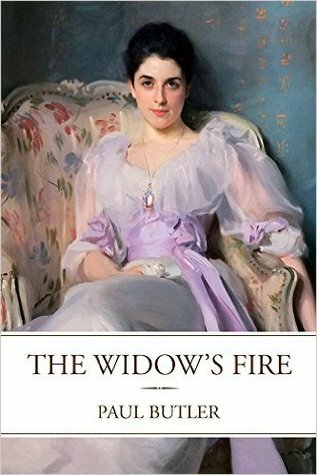 I think you’d also like The Widow’s Fire. Oh I’ll have to go read that review! I’ll add it to my book reviews to check out.